Angkor Hospital is the spectacular facility in Siem Reap, Cambodia I have written about in previous blog posts. Last year, the hospital offered 157,000 treatments to children free of charge, ranging from physical therapy and dental care to heart surgery. The boy above is an AHC heart patient who prior to surgery could hardly walk. When I came across him with his mother in the packed waiting room – back for a check up – he was running across the courtyard. His mother wanted to show me his scar. 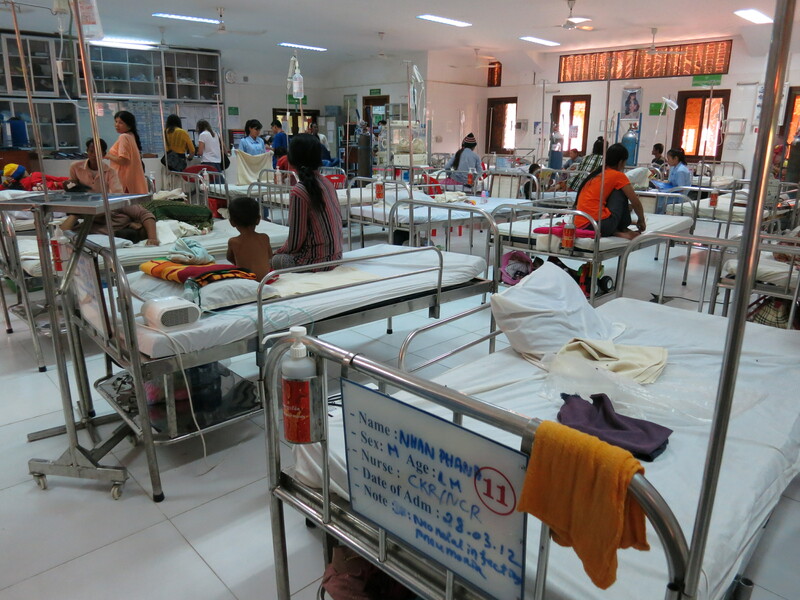 The hospital includes an incredible team of 49 Cambodian doctors and 149 Cambodian nurses, not to mention an equally dedicated support staff of 130. Although foreign teams do sometimes assist and train in more complicated procedures, there are only two full-time foreign doctors and two full-time foreign nurses at AHC. Above is the ER team comparing notes on patients. The AHC budget for this year is US$4.5 million U.S., which works out to a cost per child of US$23. This compares to an average cost per child in the U.S. of US$1,853. Throughout this year, an average of 1,400 children were visiting the Emergency room at AHC and its satellite clinic thirty kilometers away, while 290 patients required admission. On average, the hospital’s three surgeons performed seven surgeries daily. 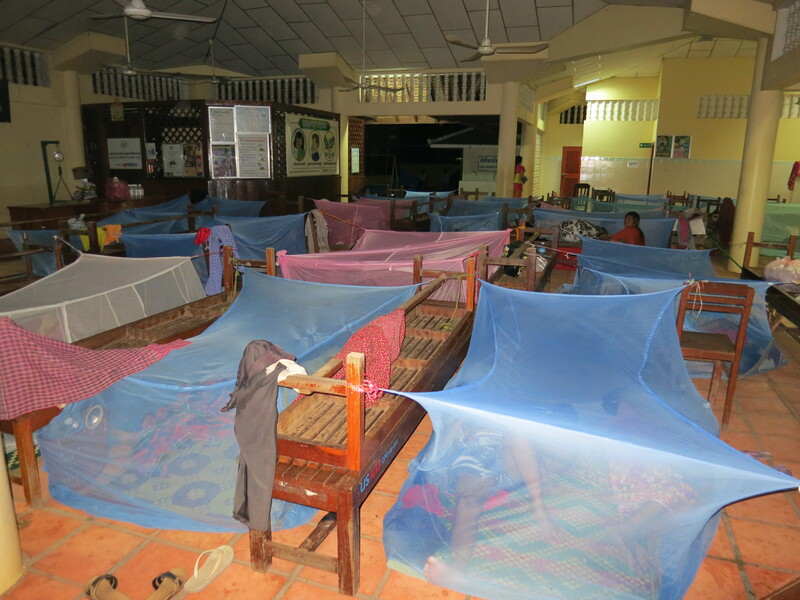 Those numbers have increased over the past few months, however, with a regional dengue outbreak and a larger number of patients seeking quality medical care they can’t find or afford elsewhere. In some cases, patients have had to rest on mats in the corridor for lack of ward space, while others have been sent to other hospitals. A new four-floor building is now under construction. This will help improve medical care and create an additional 250 sq meters in the main hospital. Among the additions will be a neonatal ward, a new ward for recovering children, an expanded ER and labs (including the research lab, which is a partnership with Oxford University). Beyond the recent pressure from larger numbers of patients, an April medical audit identified a lack of adequate space, the small ER and lack of neonatal unit as the top three weaknesses of AHC. AHC works hard to provide the quality of medical care and compassion that a sick child would receive in a developed world context. 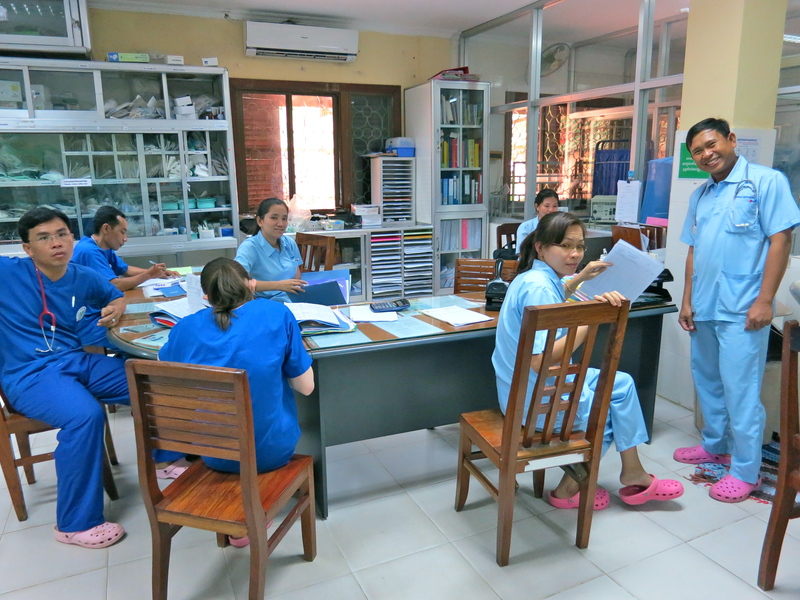 The type of treatment offered at AHC, which is free of charge, is rare in Cambodia. This includes support to chronically ill patients, physiotherapy and palliative care for very sick children. A home care program follows up with many such patients and includes a social work team. Some patients and their parents who aren’t able to see a doctor on the day they arrive must wait until the next day. The hospital provides cooking facilities, clean water and mosquito netting, which, innovatively, is tied between benches in the waiting area. These two children were waiting with their mother and a sick sibling, who needed medical attention. 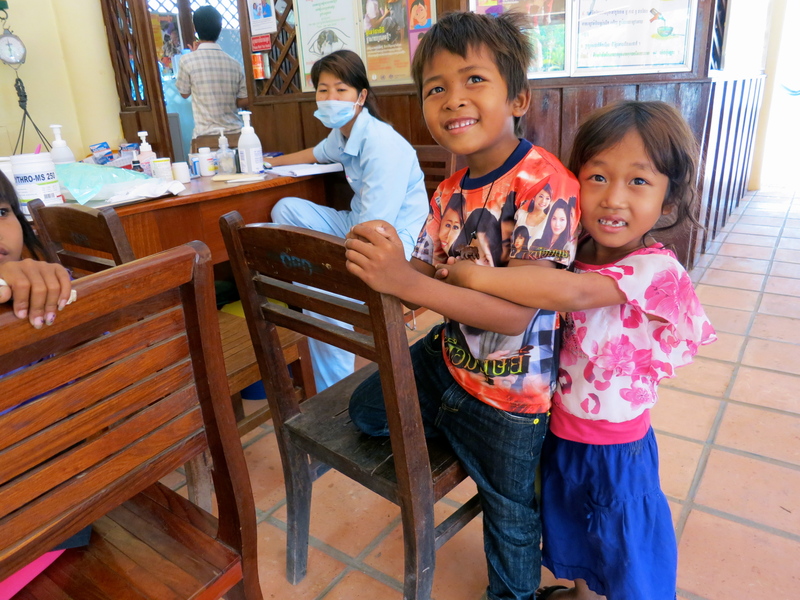 Beyond providing medical care and support to government hospitals around Cambodia in developing their medical and nursing protocols, AHC helps educate communities about issues related to health care. Some of the main causes of sickness, the main reasons that patients end up at AHC’s gates, are drinking contaminated water, poor sanitation and poor nutrition. 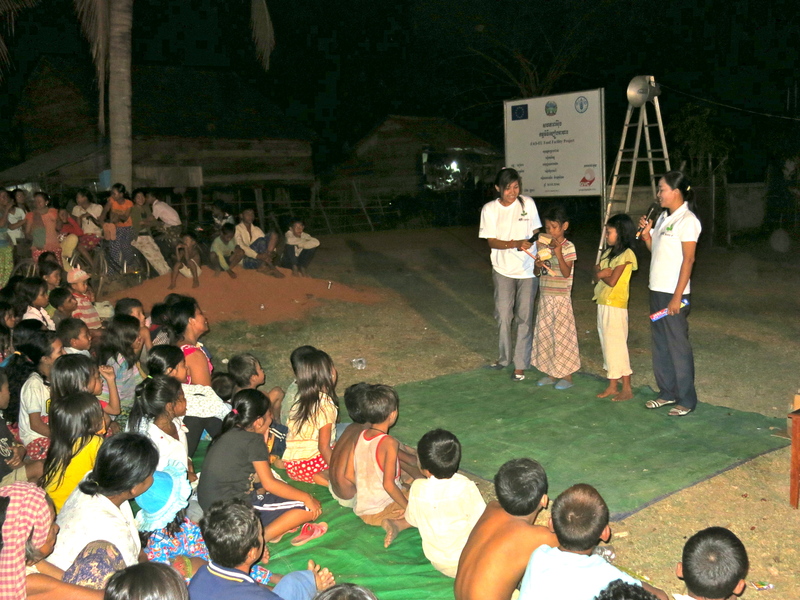 In the context of working in one of Cambodia’s poorest regions where malnutrition is surprisingly still rife, AHC staff teaches children and their families the basics to keep them healthy. By complete coincidence I visited the facility just this morning and was totally blown over by the wonderful staff, the energy and efficiency of the operation and the effectiveness of the model. It is absolutely best of breed. Congratulations to you all.